Hey, I'm just reading some of the nxt-Code and testing a ltitle bit. I saw, that there is a maximum of coin--balance in constants.java: MAX_BALANCE_NXT = 1000000000; (nine zeros). In addition there is one nxt defined: ONE_NXT = 100000000; (eight zeros). 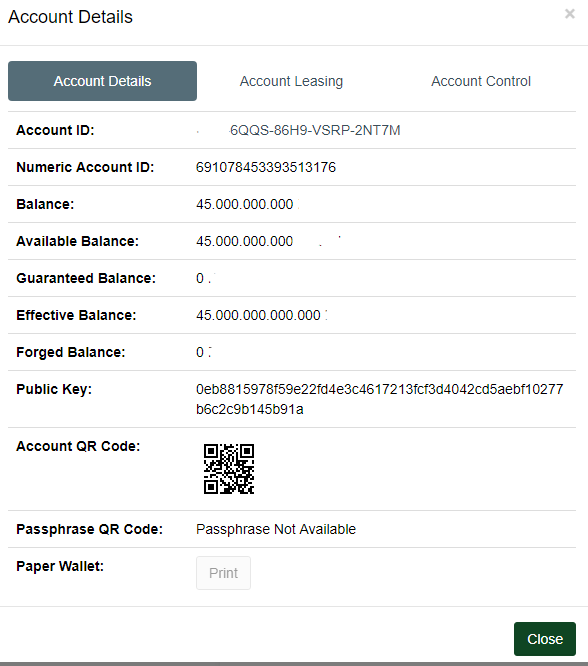 The sum of the amounts of genesisaccounts must not exceed the MAX_BALANCE_NXT. Is there a possibility to step over the limit? I'm confused, why should it be wrong? However, I still get the FormatException.. Soon 100times read and no answer? 4 or is it just a bad explanation, that nobody understands? and where is this ? in constants.java ? Exception in thread "Thread-3" java.lang.NumberFormatException: For input string: "4500000000000000000000"
That is exactly my error. But I think, the Constants.java doesn't matter to the Problem. That should be all right, shouldn't it? Aye okay, so I'm right. hm, so for my own big Amount i must do 1000 Accounts manually. What if I reduce the zeros behind the comma? In the Balance are 3 Zeros missing, and if I send them to an another account, I have 0 Coins. The Effective Balance hasnt changed, but I have no access to the missing Coins. Also, if I add an Item in the Marketplace, it wants a fee of 0.002 Coins. I dont know, if I should go this second way, to increase my maximum amount of coins, or creating 1000 Accounts manually and add them to the genesisblock. Isn't it fine, that ONE_NXT is linked to many variables? Because you only need to change one place to manage a "global" reduction of digits behind the comma?